This submarine-in-the-making will be part of the new Smith PlaygroundLocated in a section of East Fairmount Park adjacent to the Strawberry Mansion neighborhood of Philadelphia for over 100 years, Smith Memorial Playground and Playhouse has provided a safe place to play for generations of Philadelphia children. Soon it will also provide them with a new way to interact with the natural environment that surrounds them as they play. In March, the Delaware Valley Green Building Council (DVGBC) announced that it had selected Smith Playground as the site for a Legacy Project that will be part of the U.S. Green Building Council’s annual conference (Greenbuild) to be held in Philadelphia in November 2013. To create a youth-designed environment that promotes play and encourages connection with nature, Smith has teamed up with Public Workshop, an organization that works with youth and their communities to shape the design of their neighborhoods. Work is currently underway at Smith to build a permanent “adventure playground” with themed "islands" that encourage children to interact with the natural environment around them and make things with recycled or renewable materials like plastic bottles or bamboo. A team of neighborhood organizations, families, youth, and green building experts helped shape the design process through early planning meetings and charettes, and children from the surrounding community developed the Build Your Own Adventure theme. Young adults from Public Workshop’s Building Heroes project are leading construction, which will soon be completed. Volunteers are need to help out Friday, July 19 from 10 a.m. to 9 p.m., and Saturday and Sunday, July 20 and 21, from 10 a.m. to 6 p.m. A public unveiling is expected in the Fall. Interested in creating Greenbuild’s legacy in Philly? 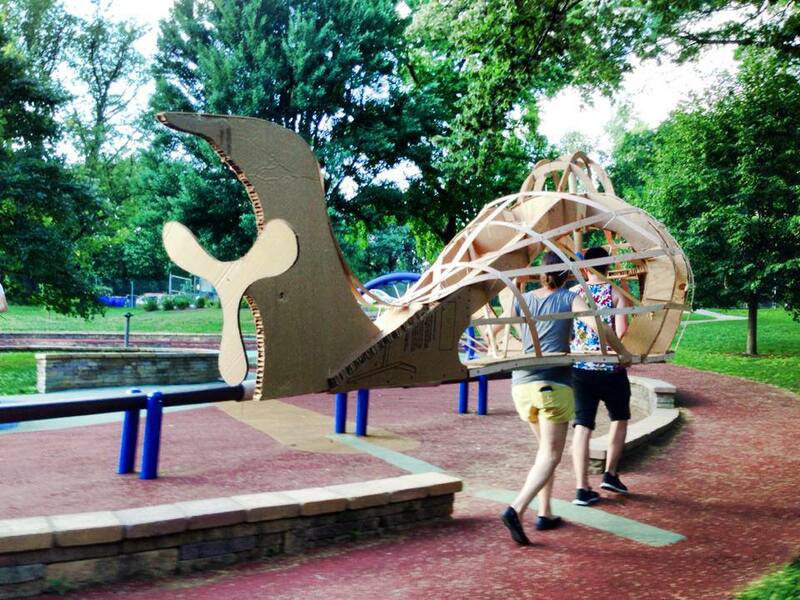 Public Workshop is looking for volunteers to help build the Adventure Playground, including Friday, Saturday and Sunday, July 19 - 21 at Smith Playground. Visit their website for more information.